The huge media events over recent days have in many ways overshadowed what fans would normally be looking at when a new manager is appointed. Our intention is to take a look at Malky Mackay as a football manager – how did he take Cardiff City into the Premier League, how was he regarded by the fans? In order to learn more about Mackay’s time at Cardiff we reached out to Benjamin James of the View from the Ninian fan site. 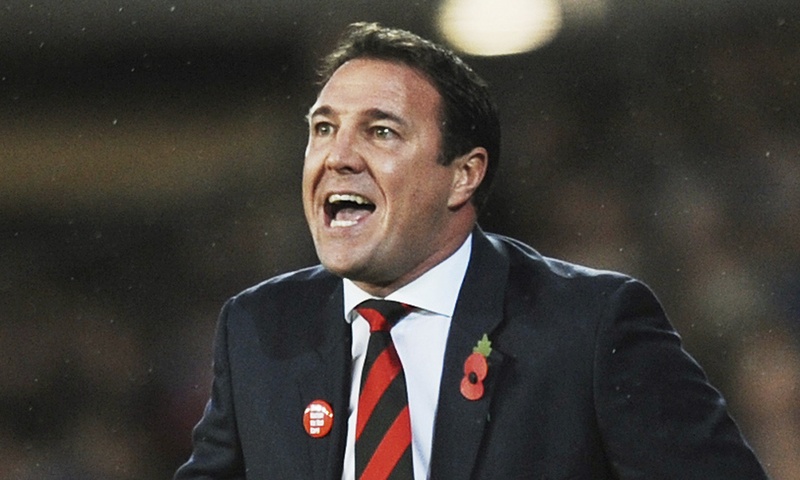 Malky Mackay came to Cardiff City after Dave Jones had, very much so, taken us as far as he could. Whilst Dave Jones had filled his side with stars such as Bellamy, Chopra, McCormack and Bothroyd, Mackway filled his squad with workman like footballers. Craig Conway, Aron Gunnarsson, Kenny Miller and Don Cowie. That first season, 2011-12, was expected to be transitional but Mackay got the team playing. His style of football isn’t particularly exciting or ground breaking but he sets his team up to be tough to break down. During his first season, we didn’t concede many but we also didn’t score too many. He still took us to the playoffs, finishing five points clear of 7th, and to a League Cup final which is one of my proudest Cardiff City memories to date. The next season, the colour change ignored, was a good one on the pitch. With players like Bellamy, Kim Bo-Kyung, Nicky Maynard and Jordon Mutch coming in, it was really only a matter of time before Cardiff went up. Finishing top of the league by eight points, they conceded the second-least and scored the third-most. 10 home wins in a row basically sewed up the title and the points tally would have been more if Cardiff hadn’t drawn six of their last seven games. Whilst many will point to Malky’s overspending in the PL season, something that I think the Chairman at the time had some responsibility for, Cardiff did well in the PL under Malky. A famous victory over Man City was followed up by draws with Everton, wins over Fulham, Swansea, and a draw with United. His last win, over WBA, left Cardiff in a good position. Our relegation was as much to do with Tan’s destabilising of the club as it was Ole’s inability to get us playing. For what it’s worth, as a football manager, I liked Malky. In his first season, he restored so much pride back into the football club; pride that Dave Jones had sapped away from us. He also got the players fighting. Fans want to see players who would run through brick walls for the club and we had that in spades. He spoke to the fans and built bridges that had previously been burnt. As much as I wished he’d spoken out against the red kit, I understand why he probably couldn’t. He was drastically weakened at that point and some fans will never forgive him. And all Cardiff fans, at the time, were on his side when he was battling Tan. Tan was an evil ruler and Malky was standing tall against him. The high point of that season for many was the 45 minute protest at Anfield where Cardiff fans sang his name over and over. The only criticism I would have of Malky is that he is sometimes reluctant to give attacking players the freedom they need. Craig Noone was a star of our PL season but Malky seemed to hold him back. Rudy Gestede, who is on fire at Blackburn, never really started for us and Malky didn’t really know how to play him. He also struggled with a striker during our PL season; the one he signed was crocked from the beginning and he tried to play Campbell as a target man, poacher and out and out striker all at once. Sadly, his reign was tainted by the text message row. For what it’s worth, no-one saw it coming and I, a vehement defender of Malky, was shocked by it all. .
My eldest sons middle name is Benjamin so that’s a good start. Well written, honest and informative. Good luck with your evil ruler mate. Till we meet again on the pitch, adios amigo.